Are you looking for high quality, reliable access platform hire at affordable prices? You are in the right place. GB Access Platforms has over 20 years experience in providing the correct piece of equipment at the right cost at the agreed delivery time. Our ever-developing modern fleet of access equipment in the east Midlands and across the UK, tailored to local, national and regional requirements. We use our own delivery vehicles so we offer our customers a complete in-house service. We also have a qualified in-house LOLER tester and provide the required bi-annual LOLER testing for all our fleet. Using our maintenance team we can offer service agreements to ensure the safety and reliability of your machines. 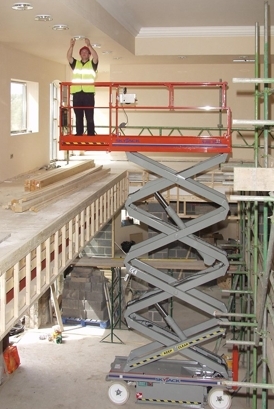 GB Access Platforms is a family run business, offering 24 hour access platform hire services. So whether you need a one day hire or an annual hire agreement GB Access Platforms Ltd offer the same level of service and commitment to all our customers. As part of professional access platform association Access Link, we can also meet your needs wherever you are in the country. Our skilled and experienced staff are committed to ensuring our customers needs are always met.